The Bay of Plenty is a region of New Zealand situated around the body of water of the same name. The bay stretches from the Coromandel Peninsula in the west to Cape Runaway in the east. The region is bound by the Kaimai and Mamaku Ranges in the west and extends inland to the sparsely populated forest lands around Rotorua, Kawerau, and Murupara. Several islands are located in the bay, notably Mayor Island (Tuhua), Motiti Island, Whale Island, and most famously, the active volcano of Whakaari (White Island). The region is dominated by two cities, Tauranga and Rotorua. As a compromise between the cities, the town of Whakatane was selected as the seat for the Bay of Plenty Regional Council. Other towns in the region include Te Puke, Katikati, and Opotiki. Agriculture and tourism are the region's two main industries, with the geothermal region around Rotorua being a popular tourist destination. Opotiki is a town in the eastern Bay of Plenty in the North Island of New Zealand. It houses the headquarters of the Opotiki District Council and comes under the Bay of Plenty Regional Council. Opotiki is situated on a harbour inlet formed by the junction of two rivers. Bounded by these rivers on three sides, the Opotiki township comprises 309 hectares and the Opotiki District extends from Ohiwa to Cape Runaway. Opotiki's climate is equal to the best in New Zealand. The town is sheltered from the cold southerlies that are experienced in many other places. For sheer natural beauty, magnificent coastal scenery and beaches, an equable climate, many places of historical and cultural significance, a gentle pace of life, and friendly Multi-cultural people, the Opotiki District is unparalleld anywhere in New Zealand. Ideally and centrally situated in a rapidly expanding holiday area, Opotiki is the northern gateway to Eastland and is also in the area known as "The Tourist Diamond of the Pacific" and all its attractions are within easy distance. These include thermal areas with delightful hot pools, many rivers and lakes well stocked with fish, and bush country with hunting for deer, wild pigs, goats and opposum. 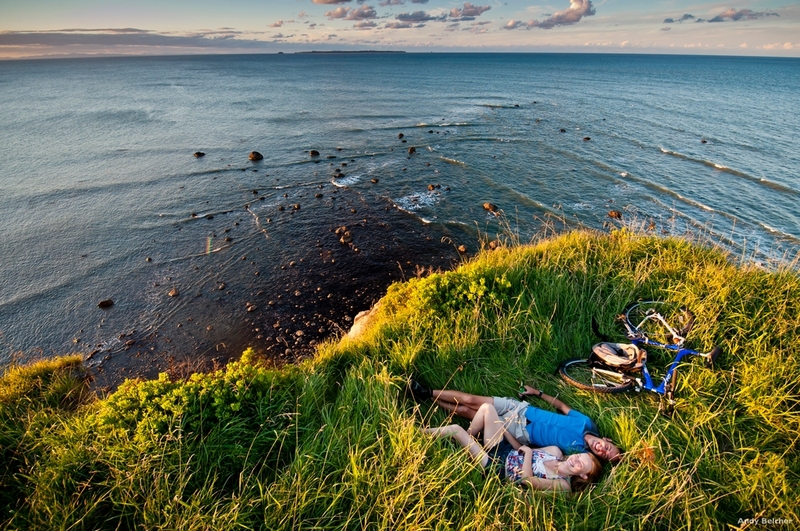 Also with the Pacific ocean on its back doorstep, Opotiki is an ideal place for deep-sea fishing, boating, surfcasting, surfing and swimming. You may need to slow down a little to get the best out of this district. Opotiki, Gisborne, Wairoa, and the East Cape form the Eastland area, which is probably the finest of all holiday playgrounds in New Zealand. This is an area which can be used all year round. The climate is second to none during the summer and in winter there is a succession of sparkling days and crystal clear starlit nights. The climate can be compared to that of California, but here the air is fresh, clean and unpolluted from city smog. It is a great place for the out-door loving person and a grand place for a family holiday. It is an equable climate and yearly hours of sunshine rate high in the New Zealand tables. Light frosts are experienced in winter and brief periods of heavy rainfall can occur at any time. Neither humididty nor smog create any problem in this area. Rotorua is a city located on the southern shore of Lake Rotorua in the Bay of Plenty region of the North Island of New Zealand. The city is located 60 kilometres south of Tauranga, 105 km south-east of Hamilton and 82 km northeast of Taupo. Rotorua is a spa resort, well-known for its geothermal activity in the area. There are a number of geysers (notably the 20 metre Whakarewarewa geyser) and hot mud pools located in the city that owe their presence to the Rotorua caldera. The name Rotorua comes from the Maori language. The full name is Rotorua nui a Kahu. Roto means lake and rua meaning two. Literally translated Rotorua means second lake. It was named by the Maori chief Ihenga, as it was the second major lake that he discovered. The lake is the largest of a multitude found to the north and east of the city, all connected with the Rotorua Caldera and nearby Mount Tarawera. Rotorua is home to not only geothermal interests, but botanical gardens and some interesting historical architecture. It is known as a spa town and major tourist resort for close to a century. Many of the buildings hint at this history. The formal Government Gardens close to the lakeshore at the eastern end of the town are particularly worth of note. Kuirau Park, to the west end of the central city, is also remarkable for its natural features. Hot, bubbling mud pools dot the park, lending a surreal air to the setting. Thermal activity is at the heart of much of Rotorua's tourist appeal. Geysers and bubbling mud-pools, hot thermal springs and even a buried village are all located within easy reach of the city. Tauranga is the major city of the western Bay of Plenty on the east coast of the North Island of New Zealand. It is 105 km east of Hamilton and 85 km north of Rotorua. Tauranga is located at the head of a large harbour which extends along the western Bay of Plenty and is protected by Matakana Island. 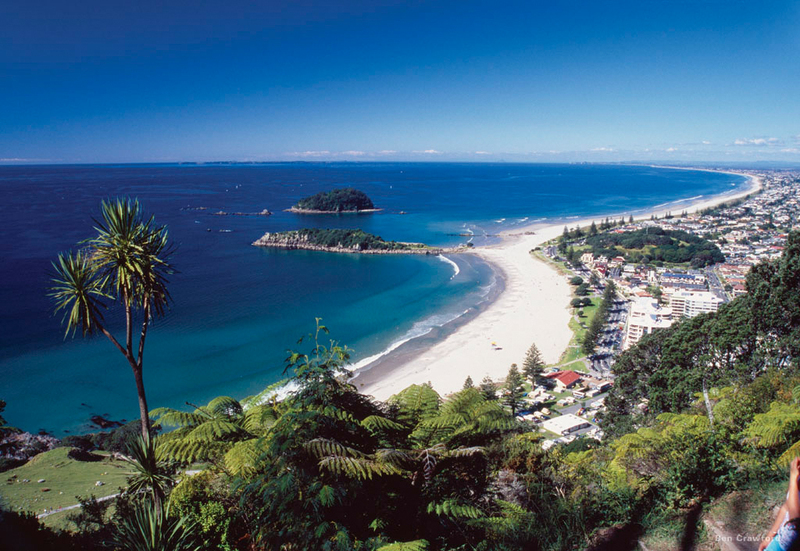 The town and headland of Mount Maunganui stand at the entrance to the harbour, five kilometres north of Tauranga. 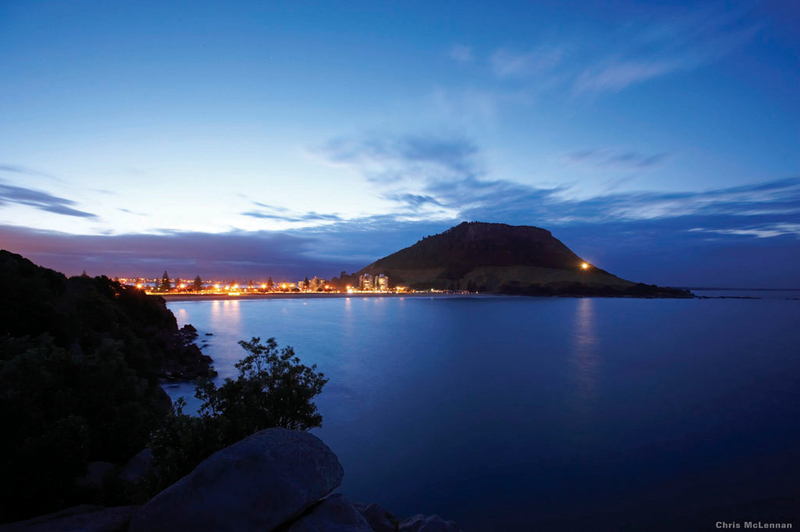 "The Mount" as it is known, is often regarded as a satellite town of Tauranga. The name Tauranga comes from Maori, it roughly translates to "a shelted anchorage." Due to its sheltered position on the east coast, Tauranga enjoys a warm, dry climate. This has made it a popular location to retire to. During the summer months the population swells as the holidaymakers descend on the city. Tauranga is the fastest growing city in New Zealand. The population increase is due mostly to retirees settling in the city, particulary the suburb of Papamoa, and sun and surf seekers. It is also a popular lifestyle city. Although the population has increased dramatically, the city is proportionally underrepresented in businesses, and the central business district reflects a city of less than half the population as that of Tauranga. Te Puke is a town located 28 kilometres southeast of Tauranga in the Bay of Plenty region of New Zealand. The warm, moist climate and fertile soils of the region make it a very favourable horticultural district, with conspicuous production of many citrus fruits such as lemons and oranges. The town markets itself as the "Kiwifruit capital of the world". Livestock are also farmed, notably dairy cattle. Te Puke means "the hill." Waihi is a town in the North Island of New Zealand. The town is at the foot of the Coromandel Peninsula, close to the western end of the Bay of Plenty. The nearby resort town of Waihi Beach, ten kilometres to the east is often regarded as the westernmost point of the Bay of Plenty region. To the west are the hills of the Kaimai Ranges. Road access from this direction is through the winding Karangahake Gorge road. A large gold mine, the Martha Mine is the major employer in the area. In recent times the town has suffered from the effects of the mining in other ways. In the late 1990s several properties had to be condemned after the land under them subsided as a result of the collapse of disused mineshafts. Whakatane is a town in the North Island of New Zealand. It is located in the eastern Bay of Plenty, 90 kilometres to the east of Tauranga and close to the mouth of the Whakatane River. The town's main industries are diverse; forestry, dairy farming, and manufacturing are all well established. The site of the town has long been populated. Maori pa sites in the area date back to the first Polynesian settlements, estimated to have been around 1200 CE. Maori tradition suggests that they may be even earlier, and was the first settlement in New Zealand. According to some legends travellers from this settlement back to the Pacific Islands triggered the great migration fleet of waka (canoes) to New Zealand. Solitaire Lodge is situated on a private, secluded peninsular on the shores of beautiful Lake Tarawera, its elevated position provides spectacular views across the Lake to the grandeur of Mount Tarawera. Like a gem, Solitaire Lodge well complements its setting and is recognised as one of New Zealand's foremost luxury lodges. New Zealand, or Aotearoa, is a mythical land steeped in legend and mystery. Treetops Lodge offers the ultimate in world class luxury accommodation and is located in the heart of the trout fishing capital of the world and famed therapeutic thermal region, Rotorua, New Zealand. The diverse landscape of Rotorua is where adventure abounds. Nestled amidst magnificent native forests and valleys, Treetops Lodge and Estate offers a uniquely New Zealand experience. The Lodge with its’ elegant architectural style derived from this country's pioneering past.